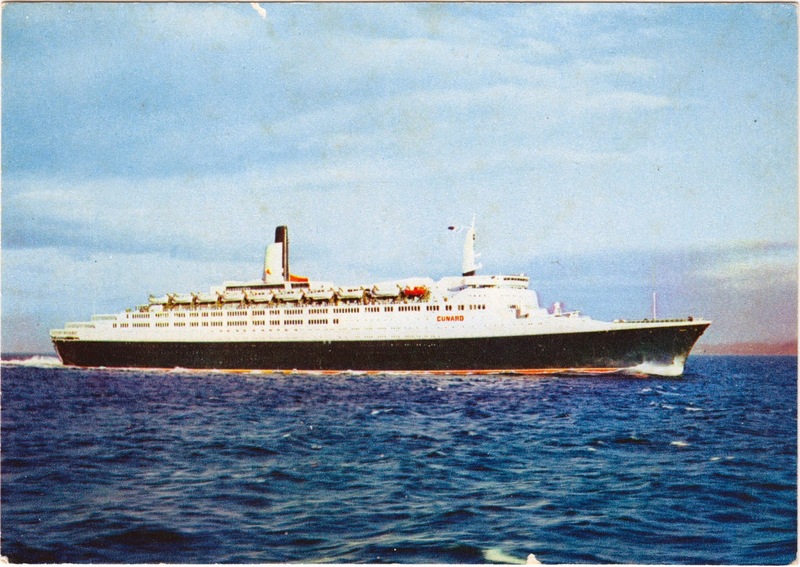 Outgoing postcard US-3208618 to Italy was a vintage postcard from Cunard Line Limited by J. Arthur Dixon in 1968, showing Queen Elizabeth II, a transatlantic ocean liner sailing from Southampton, UK to New York City, USA from 1969 to 2008. It was operated regularly as a cruise ship as well. However, it was never designated Royal Mail Ship (RMS) as her predecessor RMS Queen Elizabeth did. Queen Elizabeth II retired from active service on November 27, 2008, and was acquired by a private equity firm of Dubai World to be converted to a 500-room floating hotel in Dubai.